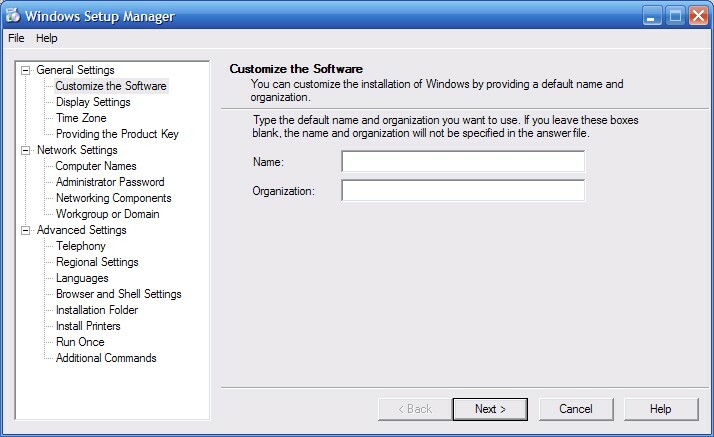 If you would like to change the location of Documents and Settings and Program Files during the windows setup, there is a very simple way to do this. You will have to put a file into the I386 directory of the CD which will tell the installer options that are not available through the GUI. 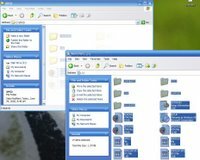 This howto will cover copying to the hard drive and modifying the Windows CD and preparing it to be burned again for use. 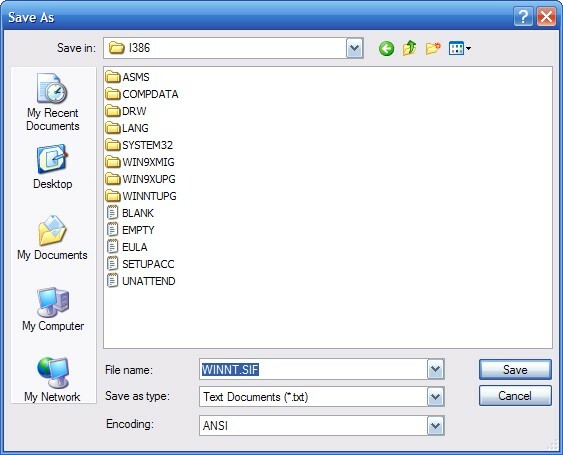 Copy the Files to your Hard Drive The first thing to do is to copy all the files you need to your hard drive. Make a new folder somewhere and open it. I will choose C:\XPCD but if you want to put it somewhere else you may. Now put the Windows XP CD into your drive and open My Computer. 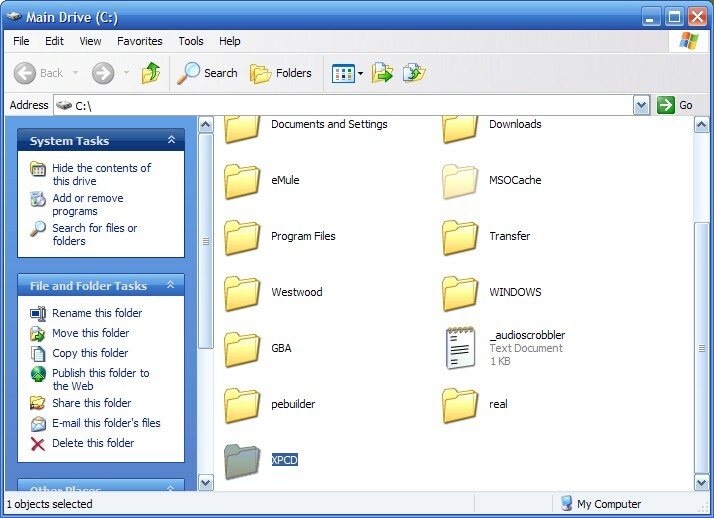 Once the computer detects the CD, right click the drive and press open. Now drag and everything from the CD into the XPCD folder. 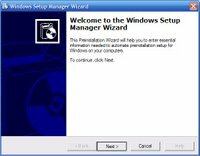 Creating the Answer FileYou will now have to create a file that will instruct the Windows XP installer on what to do. 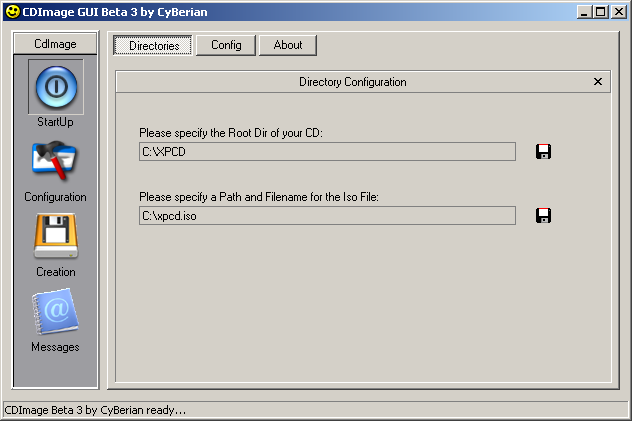 To do this, open the folder SUPPORT and then TOOLS in your XPCD folder. 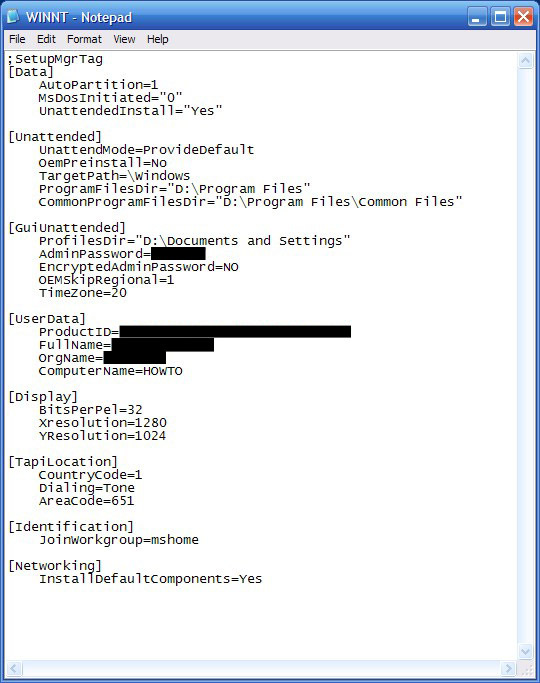 Then open DEPLOY.cab and run setupmgr.exe. Press next on the first, second, and third screens and on the fourth select Home or Professional depending on your CD. 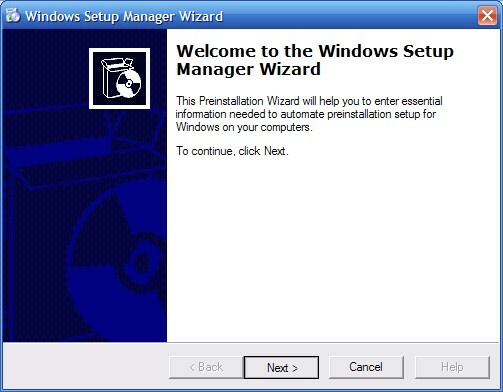 Press next on the fifth screen and on the sixth screen select "No, this answer file will be used to install from a CD". After the wizard is complete you will have a window that looks like this. Fill in any information you want. If there is something you don't understand leave it blank. When you press finnish you will get a new window asking where to save the answer file. Browse to your XPCD folder and save it as WINNT.txt and close the wizard. 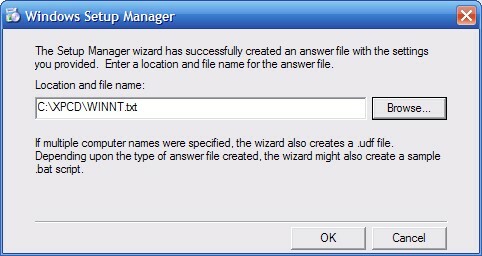 Changing the Install Locations for Documents and Settings and Program FilesNow because the wizard did not ask where to put them, you will have to do it yourself by opening the WINNT file you just created with notepad. To change the location of Program Files add these two lines under [Unattended] and change the location to where you want it. To change the location of Documents and settings add the following line under [GuiUnattended] and change the location to where you want it. 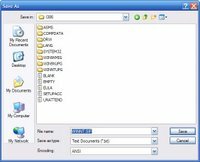 Change AutoPartition=1 to AutoPartition=0 and once you have changed the rest of the file to your liking, press File and choose Save As and open the I386 folder. Now change the name to WINNT.SIF and click Save. You may then close notepad. MAKE SURE it is WINNT.SIF and not WINNT.SIF.txt! To check this, go to the folder options (Tools --> Folder Options --> View) and disable "Hide Extentions for Known File Types". Make sure it is WINNT.SIF and you may reenable that option. 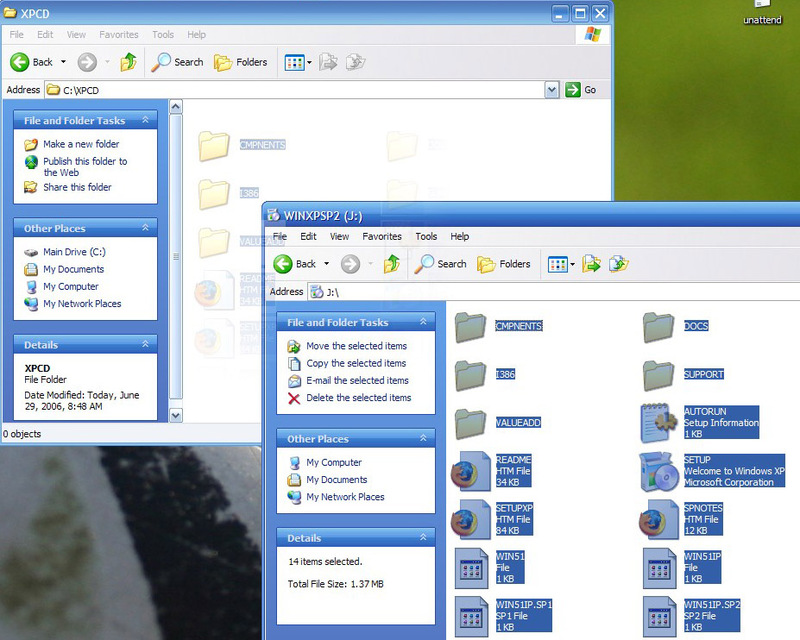 Thanks to MSFN for the next four images of CDIMAGE GUI. 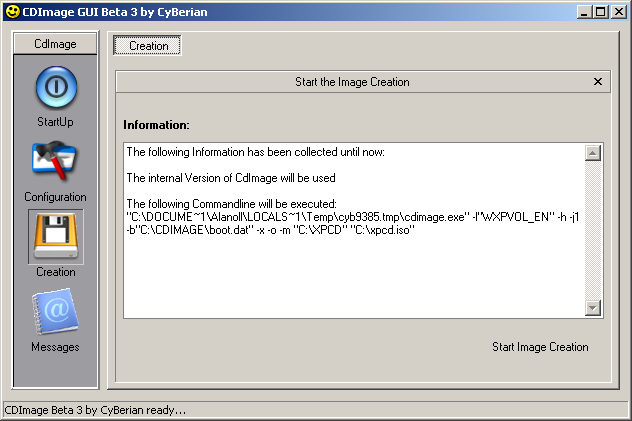 Go to where you extracted it and run cdimagegui. On the first screen make sure it has the right location to your XPCD folder and if you want to, you can change where it puts the ISO file. Now press configuration on the left and press boot on the top. 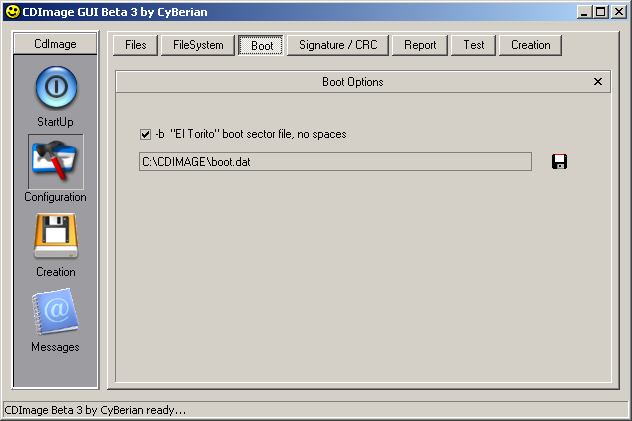 Change the path in the box to point to boot.img in the CDIMAGE folder. 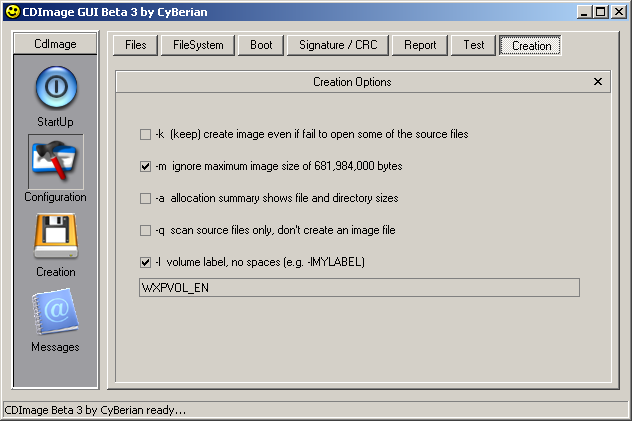 Now press creation on the top and you may change WXPVOL_EN to anything you want. Now press creation on the left and press "Start Image Creation"
You should now have an ISO file which you can burn with your favorite CD burning application. Make sure you partition your disks according to how you set everything during setup!